Caltrain kicked off a year-long celebration of 150 years of railroad service between San Francisco and San Jose with the re-enactment of an historic picnic that took place in October 1863 near Menlo Park. The San Francisco & San Jose Railroad completed the line all the way to San Jose in January 1864, but the management invited notables including Governor Leland Stanford for a VIP train ride when construction was about two-thirds complete. 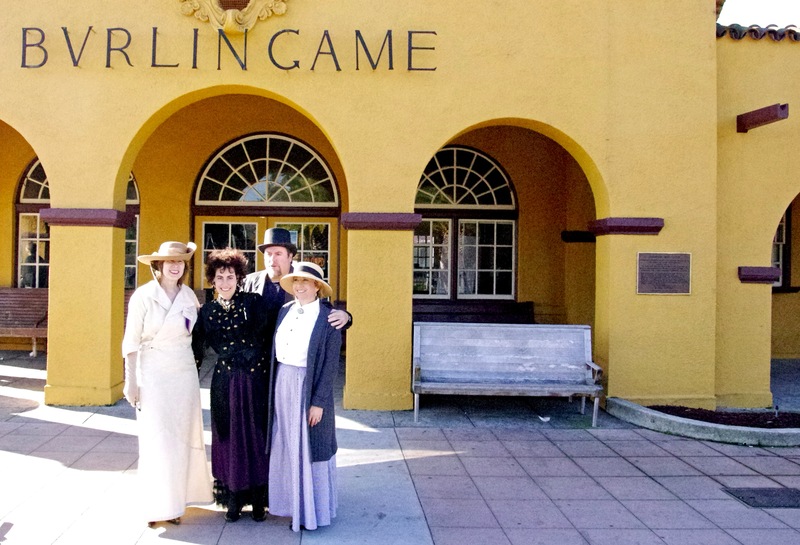 On October 19, 2013, Caltrain brought history to life at the Menlo Park Station by re-creating that picnic with a cast of costumed re-enactors and an authentic 19-century-style band. 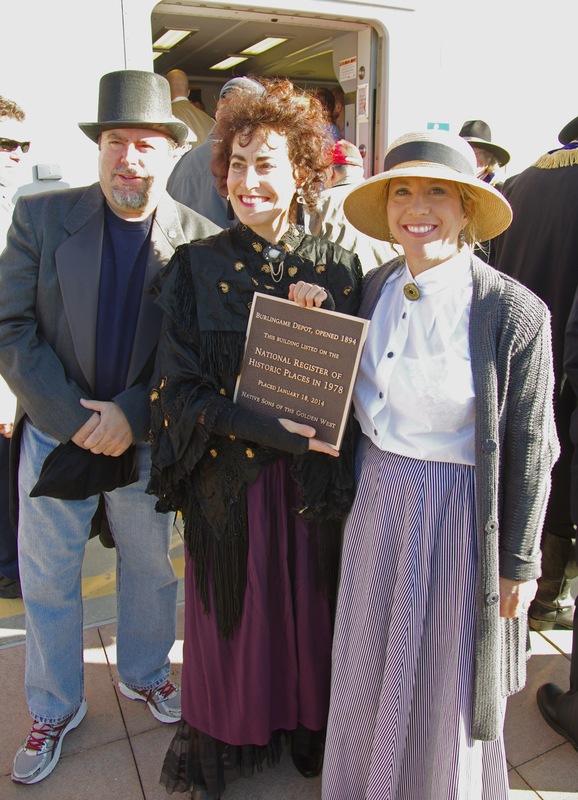 Other event festivities included informational booths, model railroads and exhibits, and displays including a Wells Fargo stagecoach, a vintage bus and a replica of the transcontinental railroad’s famed gold spike. Moveable Feast was also on hand along with Baskin Robbins, face painting and more family fun activities. More festivities took place in on Saturday, January 18th at the Santa Clara Depot, the future of rail on the Peninsula being the main emphasis. 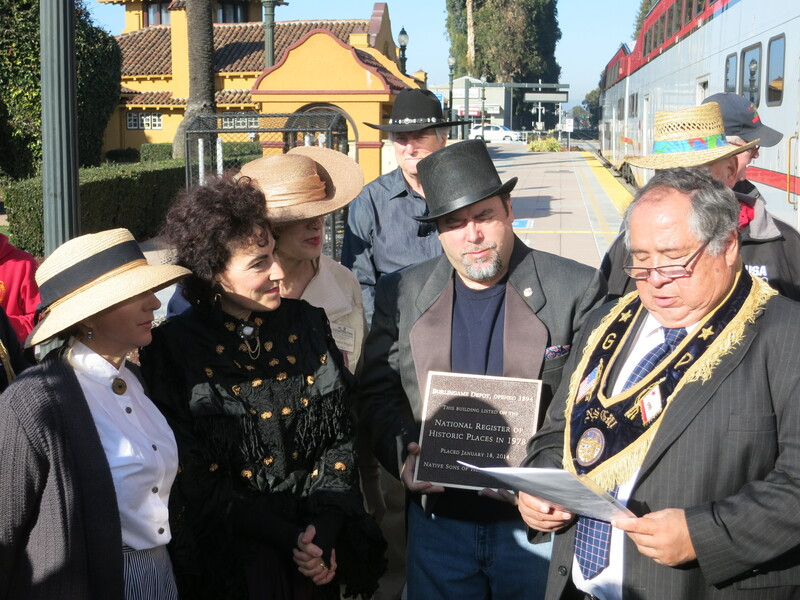 One of the highlights earlier in the day was the delivery of 7 National Register Plaques to several historical societies at the various historic stations. 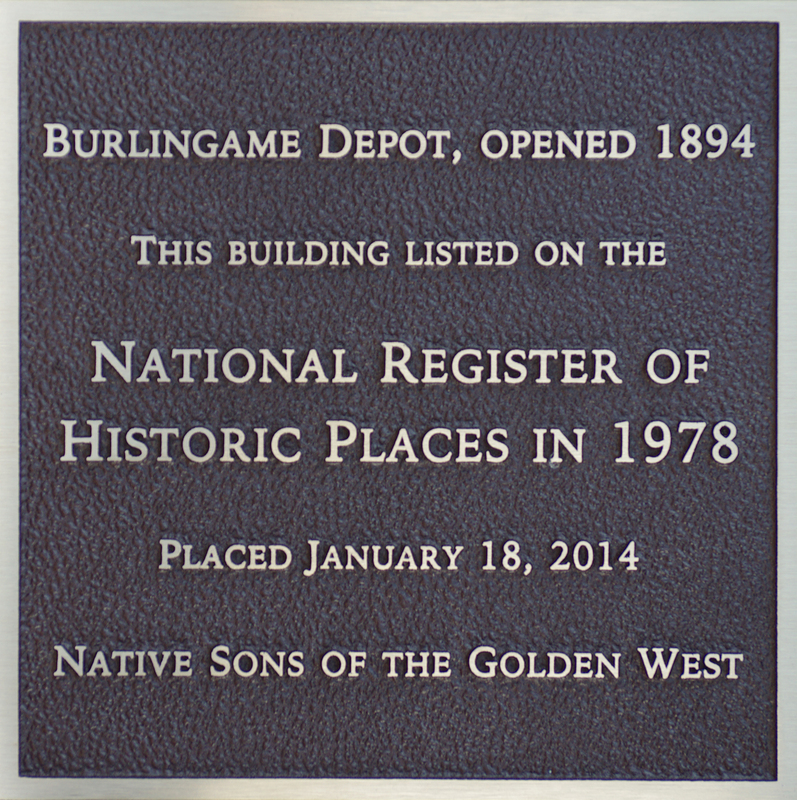 These were a generous gift and memorable gesture by the Native Sons of the Golden West. See below, the delivery of Burlingame’s Plaque the morning of the 18th. Thank you so much, Native Sons! We look forward to having the beautiful plaque mounted on the structure in the near future! VP Russ Cohen, Pres. Jennifer Pfaff, Treasurer Cathy Baylock and VP Diane Condon-Wirgler were on hand (and dressed!) for the festivities! This entry was posted in Uncategorized, What's New?. Bookmark the permalink.